User Ratings: 5.0/5 (3) Main Category: Application Performance Monitoring (APM) Software Also Related To: Analytics , Virtualization , Reporting Dashboard , System Administration Pricing: trial/premium, from $55.00/month Suitable for: SMEs, Enterprises Native Applications: Other Publisher: Opvizor, Inc.
"Monitor and Analyze Cloud configuration and performance metrics. Correlate events and metrics of your vSphere and its guest OS and applications." 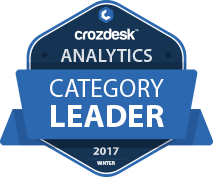 Performance Analyzer scored 77/100 in the Application Performance Monitoring (APM) category. This is based on user satisfaction (100/100), press buzz (36/100), and other relevant information on Performance Analyzer gathered from around the web. Performance Analyzer is a VMware performance monitoring and optimization software solution developed by Opvizor, a company that specializes in SaaS (Software-as-a-Service) solutions for virtualization and cloud computing. Opvizor offers three main products: VM OpBot, VM Snapshots and VM Performance Analyzer. 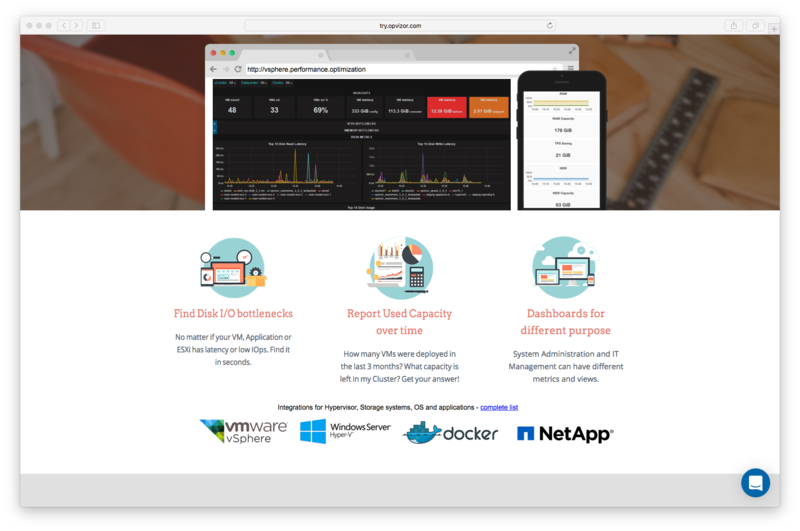 The Performance Analyzer solution is exactly what the name suggests, it analyzes the performance of your virtual datacenter in real time. It is designed for companies and organizations running VMware vSphere in the datacenter with over a hundred virtual machines. It enables users to spot performance issues and bottlenecks in their system. The main purpose of Opvizor’s Performance Analyzer platform is to help businesses manage and automate their virtual IT infrastructure within highly diversified virtual processing centers. It also offers practical and effective solutions for preventing errors, redundancies and failures. Performance Analyzer works as a turnkey solution that users can get up and running in mere minutes, almost immediately providing great troubleshooting and monitoring capabilities. The system supports real-time performance analysis through the full stack, from NetApp or Datacore Storage System to VMware vSphere and Microsoft SQL. The entire process is done within a comprehensive dashboard engine designed by Opvizor. 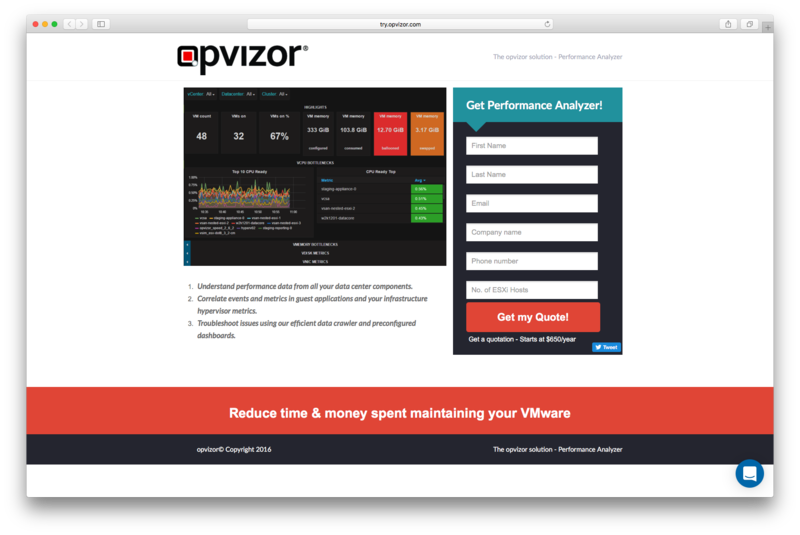 With the Opvizor Performance Analyzer software solution, you can efficiently monitor and assess your virtual data center configuration and performance metrics without the need for programming or coding skills. This is a turnkey solution that essentially serves as a virtual appliance that allows you to perform monitoring and analysis in just a few minutes. By using the platform, you will also be able to correlate events and metrics in guest applications and infrastructure with Hypervisor metrics. Opvizor also comes with the Health Analyzer, which complements Performance Analyzer in a perfect and seamless way. The Health Analyzer tool allows users to proactively diagnose and correct critical errors in their virtual environment. It is essentially a diagnostic or troubleshooting tool that works perfectly well with your performance monitoring and analysis solution. The Opvizor Health Analyzer also helps to minimize time spent and expenses normally associated with managing and maintaining VMware. You can easily and efficiently spot potential problems on your VMware with the platform’s automatic detection and daily health checks. It also finds effective solutions quicker to problems you might encounter in your virtual machine during those health checks by leveraging Opvizor’s comprehensive knowledge-base as well as their community of VMware experts. Finally, with the Health Analyzer, you will be able to find and determine what your real-time monitoring and operations management systems are actually overseeing. Opvizor’s Performance Analyzer offers several VMware vSphere integration features, such as the ability to find potential Disk I/O bottlenecks, generate reports on Used Capacity over time and plan effectively for future capacity, and get valuable insights into Datastore Latency and VM Disk IOps. With the platform, you will also be able to instantly determine potential memory issues—ballooning, swapping—and network issues such as packet loss. Getting a complete cluster usage overview across multiple data centers or vCenters is another feature that the software solution provides, as well as being able to effectively track VMware snapshot usage in real time, including historical data. When it comes to gathering critical VM performance data and key performance indicators or KPIs, administrators often have to utilize a wide range of products just to get a comprehensive view of everything they need. Opvizor’s Performance Analyzer is the game-changing solution, the platform that correlates all data from various data center components—including unstructured data streams, configuration data and time series data—and unifies them into a single highly accessible layout, which effectively provides end-to-end visibility for the user. The Performance Analyzer’s dashboard is fully customizable to suit the user’s needs and preference. It helps you get a better understanding of all performance data across multiple datacenter components. The platform can also correlate different events, metrics in guest applications as well as your infrastructure hypervisor metrics. Using Opvizor’s software solution, you will be able to troubleshoot issues via the highly efficient data crawler and preconfigured dashboards. Not only that, you may even have the opportunity to be proactive and spot potential issues and bottlenecks and do something to remedy the situation before they become a serious problem. You can find disk I/O bottlenecks and other potential problems with relative ease, no matter if it’s your virtual machine, your application or your ESXi that has latency issues or low IOPs. You will be able to solve that virtual puzzle quicker and more efficiently. And if you want to know how many VMs were deployed in a certain span of time or what capacity is left in your Cluster, for instance, you can get the answer quick and easy through the used capacity over time reports. In addition to the customizable dashboard, users also have the option to configure the dashboard to display different data for different purposes. System administrators and IT teams can have a variety of metrics and view types for their specific needs. Users will also have the ability to oversee hypervisor, storage systems, operating systems, applications and services through seamless integration with other third-party platforms. Performance Analyzer is designed to integrate with VMware vSphere, first and foremost, as well as with other solutions like DataCore, NetApp, Windows Server Hyper-V, VMware Virtual SAN, Microsoft SQL Server and Azure, Virtuozzo, Apache, Amazon Web Services, IBM AIX, Docker, Ubuntu, vCenter Server Appliance, MongoDB and so much more. Since the needs and specifications greatly vary among businesses and organizations, Opvizor’s Performance Analyzer is only available on a quote-by-quote basis to ensure custom and personalized pricing and services. It is listed on their website, however, that the starting price for the software solution is $650 per year. You may visit the Opvizor official website for more information about their products, services and pricing. They also offer a 30-day free trial if you want to check out the features and capabilities of the platform and to see whether or not the software solution is the perfect fit for your current system. Opvizor Performance Analyzer is a robust and highly efficient solution that provides a wide range of functions and capabilities to the user when it comes to gathering critical data from different datacenter components. It helps to make the process of performance monitoring, analysis and troubleshooting a lot easier, more efficient and a lot quicker to accomplish. So if you’re a company or an organization that runs VMware vSphere in the datacenter with multiple virtual machines, you might find Opvizor’s software solution very useful and practical. You should definitely give it a try. Does Performance Analyzer offer an API? What is Performance Analyzer generally used for? Does Performance Analyzer integrate with any other apps? What platforms does Performance Analyzer support? What are some applications Performance Analyzer is commonly used in tandem with? Who are the main user groups of Performance Analyzer? Does Performance Analyzer offer guides, tutorials and or customer support? Does Performance Analyzer offer multi-user capability (e.g. teams)? Performance Analyzer was submitted by Dennis Zimmer from Opvizor, Inc.
What do you like about Performance Analyzer? the tremendous flexibility and and the possibility to create your own dashboards with the metrics you want to keep one eye on it all the time across different infrastructure products from different vendors. Also I like the very great support from the Performance Analyzer team! What do you dislike about Performance Analyzer? What have you been using it for and what problems did Performance Analyzer solve? massive CPU over provisioning and VM's who had too much vCPU's which leads to very high CPU wait time in certain scenarios. furthermore some packet loss at some ESXi host interfaces. And some VM's who stressed a shared storage because of a process hung inside the VM's which leads to massive I/O and higher overall storage latency for all other VM's on the affected disk pool. Jan 16, 2018 George Welsted // Technical Training Consultant (VMWare) at Tech Training Solutions Inc.
the update process can be a bit hinky, but overall I don't have much to say bad about it.